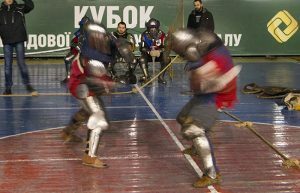 Medieval full contact battle qualifying rounds according to the HMB rules took place in Kyiv, Ukraine, on December 28, 2016, and January 4, 2017. This sport has never been easy and safe. This time was no different. 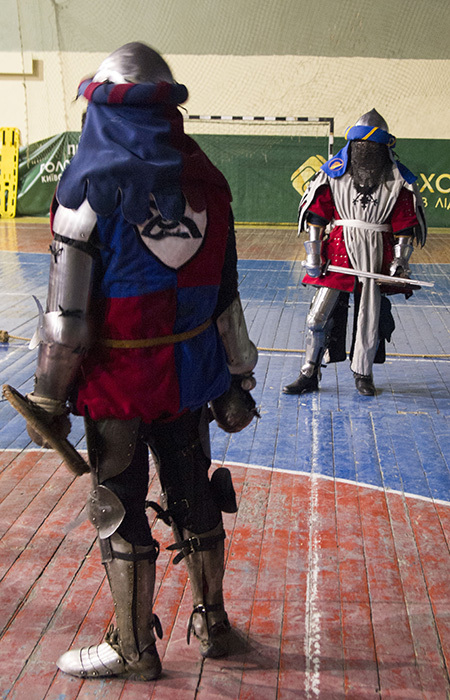 For a short period of time, every combatant forgot that his opponent on the other side of the tiltyard might not just be an acquaintance or a fellow club member, but even a close friend.When the desire to win prevails, however, there are no friends and acquaintances. There is only you and your rival. And you may know a lot about that rival of yours, besides his name, weight, and height. 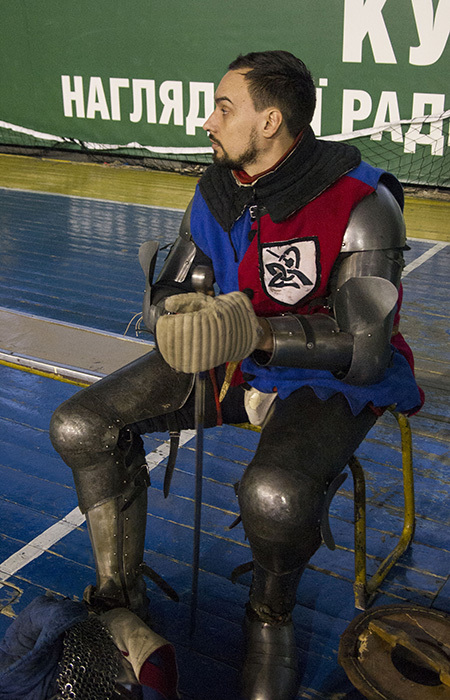 You might know that last week he bought himself new equipment for medieval combat, hand protection as well as leg protection made from titanium. You know that last year, he took one of the first places in the “Battle of the Nations” world championship. You even know his previous injuries. Within those few minutes of the battle, you analyze all this information and make a dozen decisions per second. You also remember that your corazzina from hardened spring steel has long been in need of repair and that your medieval helm has numerous dents in it by now. On the day of the competition, each of the combatants has a chance to sum up all those long weeks and months of grueling training and show what they are able to do. We’re not used to losing here in Ukraine. 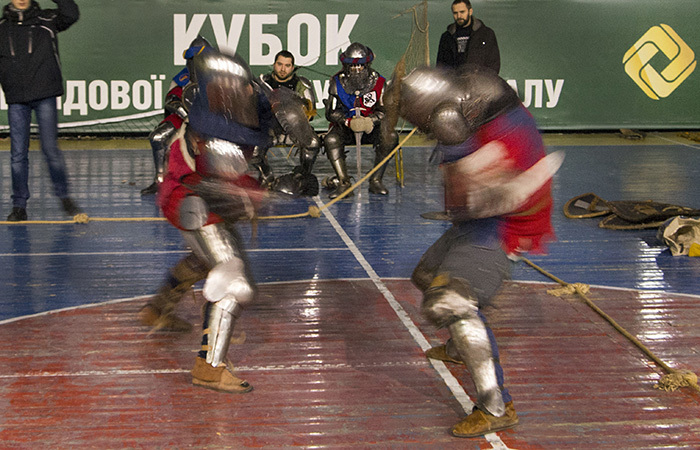 We were the ones who began the Battle of the Nations back in 2010 in a town called Khotyn. It’s not just fun for us – it’s our way of life, our lifestyle. Therefore, HMB regulations are not just rules for us; it is also our life’s rules. All that said, it should be noted that there was no aggression towards the opponent during the competition, only clear logical action sequences by athletes. Everyone in this sport knows from experience that once you let anger cloud your mind, you might as well forget about winning. Therefore, you could feel the calm and friendly atmosphere that was in the air. It was great to meet familiar faces and talk about all sorts of things. Because of this, every tournament, buhurt, or any other event related to historical full contact fighting becomes a meeting of old friends who don’t just destroy each other’s and their own armor in battles but also reminisce about how they did it 10 or 15 years ago. One of the Forge of Svan (FoS) goals is not just sponsoring the tournaments, but also athletes. We are wholeheartedly rooting for Sergey Zhmurko. This fighter shows a high desire to win and is highly motivated not only in the qualifying rounds but also in many other tournaments. We believe that our contribution to Sergey’s equipment will help him become the best fighter. The official dates of the Battle of the Nations 2017 are April 29 – May 1. This year it will take place in the heart of Spain – Barcelona. 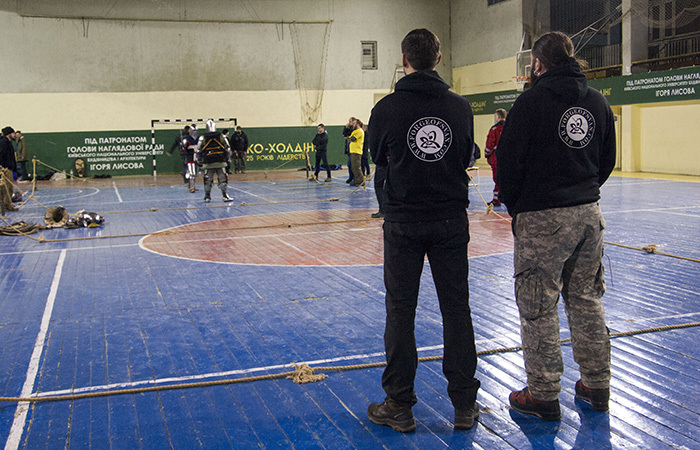 Together with all the combatants from Ukraine, we are looking forward to this event. We believe it will bring another round of achievements from our athletes and we are sure of it.